Cheddleton Station is located towards the northern end of the current Churnet Valley line and is the operational headquarters of the Churnet Valley Railway. It is one of only three original Churnet Valley Stations to have survived demolition in the 1960s and 1970s (the other two being Rushton and Alton). Built in 1849, reputedly designed by Pugin , its existence today is purely down to the quick thinking of a member of Cheddleton Parish Council who prevented its demolition in 1974. It is said that Norman Hancock parked his car in front of the bulldozers just as the work was about to begin, and managed to arrange a stay of execution until the building could be listed allowing its future to be assured. The fledgling North Staffordshire Railway Society took over the building in the mid-1970s as a railway museum, displaying small artifacts from the original North Staffordshire Railway Company (the "Owd Knotty") and using it as a restoration base for two locomotives it purchased plus a small collection of goods vehicles and passenger coaches. Over the ensuing years the preserved site has expanded, with the acquisition of further land. Now it encompasses the station area (with a bay platform added in 1983-84), a signal box recovered from Elton Crossing (near Sandbach in Cheshire), a two-road locomotive shed and associated sidings along with a dedicated carriage restoration shed. The station houses the small artefacts museum, and the original Booking Office has been beautifully restored. It is licenced for Weddings and Civil Partnerships. 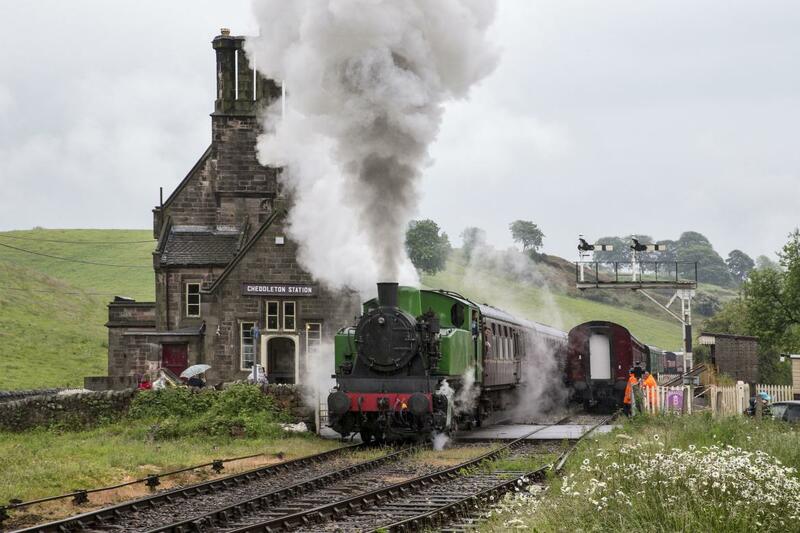 The railway hosts a selection of special events throughout the year, as well as its tradtional weekend running from Easter until the Autumn. Visitors are able to walk around the station grounds even when the railway is not operating.